I've missed my Cubao X days, when I had to restrain myself from taking home every novelty, quirky and fun item that meets my eyes. 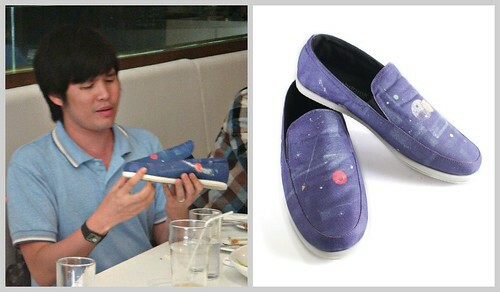 One of my memorable finds back then were some catchy flats from Punchdrunk Panda (PdP) called, "skimmers". Guess who goes places with PdP skimmers! Fast forward to the present, when Lois asked if I wanted to go to Punchdrunk Panda Blogger Hangout, I said yes in a heartbeat! 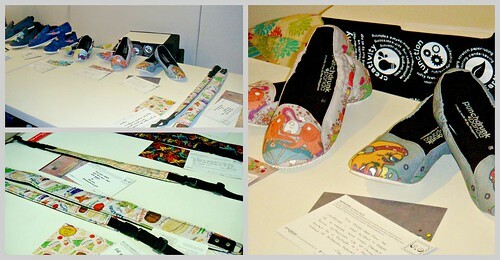 I've always liked Punchdrunk Panda's ultra funky and creatively designed items. Plus, I support its thrust to promote and showcase passionate, talented local artists through collaboration and events like this. 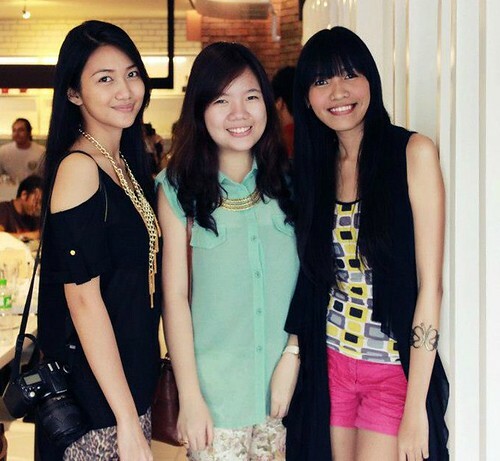 How I could I pass on the chance to meet the artists behind its new collection, and fellow bloggers, too? 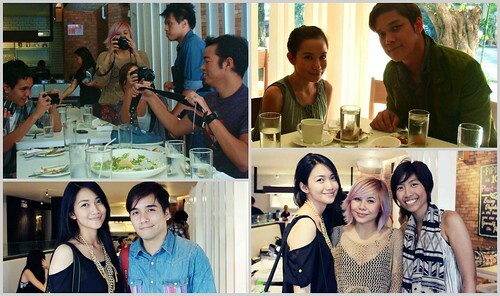 PdP artists and PdP's blogger friends unite in support of the latest collection. I got there early, second to Abbey of Artistic Dreams. (You guys must check out H.E.A.R.T. - her online store, which carries a lot of really pretty hand-painted items.) We wasted no time and got on with our chatting while PdP team prepped up. Shortly after, the rest of the bunch started to arrive. 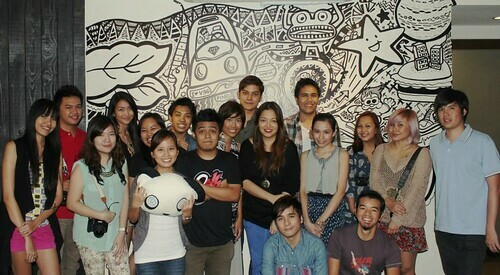 Other bloggers present who are not in photos are Lloyd (The Lost Boy Lloyd) and Alexis (Litrato ni Juan). Nice-to-have fellas and certainly conversation starters when you go places. free when you purchase any of the new items. 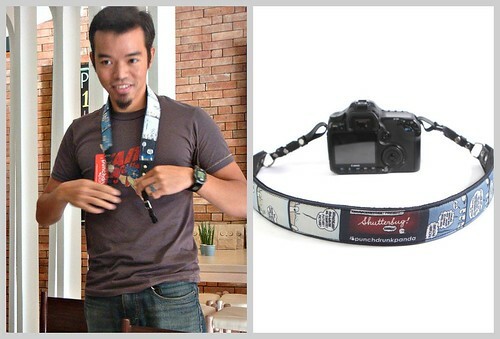 The man behind Kikomachinekomix, Manix Abrera, designed "Light Years" topsiders and "Shutterbug" camera strap. "Light Years" conveys a journey of him & her finding his/her better half (yikee! ), while "Shutterbug" is a strip about, well, taking snaps. 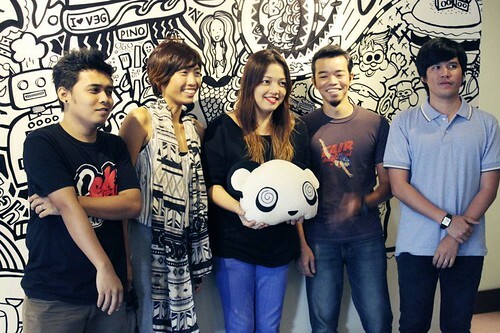 Diego Mapa, one who wears many hats (musician, DJ, producer) collaborated with artist Dan Matutina to create a physical representation of their previous work for Graphika Manila 2012 where they did its opening billboard credits. 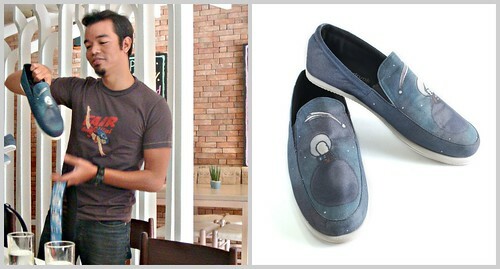 Their design, called "Intergalactic Duet", comes with a QR code found on the postcard wherein you can download the extended version of the OBB music of Graphika Manila 2012. 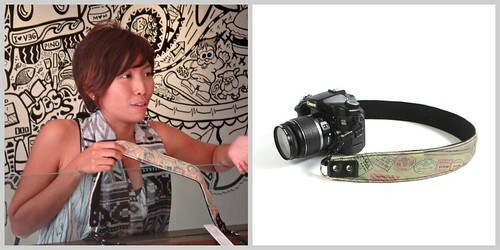 Punchdrunk Panda co-owner and solo traveler Jen Horn designed "Stamp Collector" camera strap, a product of her penchant for stamps. 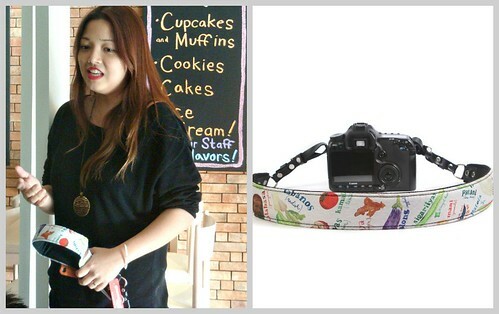 Alessa Lanot - graphic designer, blogger and co-owner of Pino Resto Bar and its vegan counterpart, Pipino - designed "Eat Your Vegetables" camera strap, which features all the vegies in the folk song "Bahay Kubo". 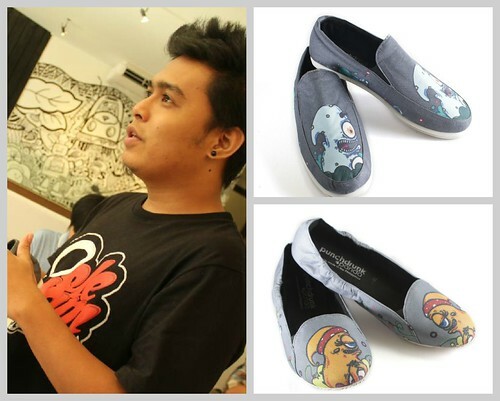 Multi-disciplinary and street artist, Nemo Aguila, designed "Monster" footwear for him and her. His designs are clearly influenced by his popular three-eyed neon monster character, that you can find on random surfaces and canvas. As for me, here's what I got: "Shutterbug" and "Stamp Collector" camera straps, a postcard signed by Manix, and some cute knickknacks by Hodge Podge. A big thanks and congratulations to PdP team for organizing this successful event! It was a time well-spent! 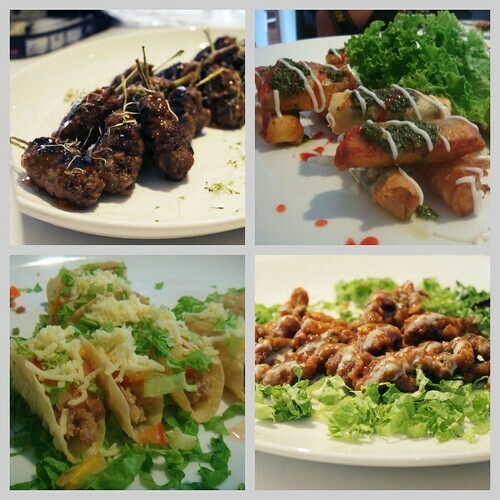 Thanks to Pino Resto Bar, too for indulging us with scrumptious appetizers: pork & shrimp lemongrass skewers, nori cheese sticks, sisig tacos, and chicken skin. Next time I visit the spot, I'll try the vegan menu at Pipino - FYI, you can order the same dishes from Pino but Pipino does it 100% plant-based. I bet they can do it with the same delicious taste! Anyhoo, have you picked your favorite PdP item yet? 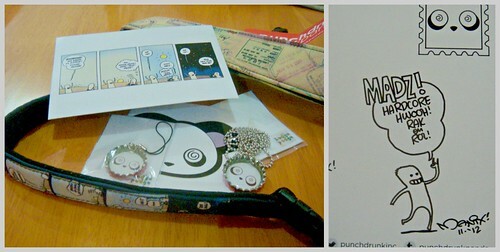 Get your Punchdrunk Panda and check out their other products at http://www.punchdrunkpanda.com/. I also saw a recent post on your Coron trip. 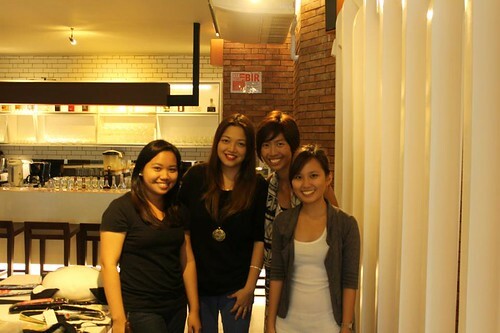 Did you try the zipline at the floating resto? Hope to meet you on the road in the future!